Join NARC. magazine for an informal chat about How To Be A DIY Band. Newcastle based independent arts, music & culture magazine Narc. 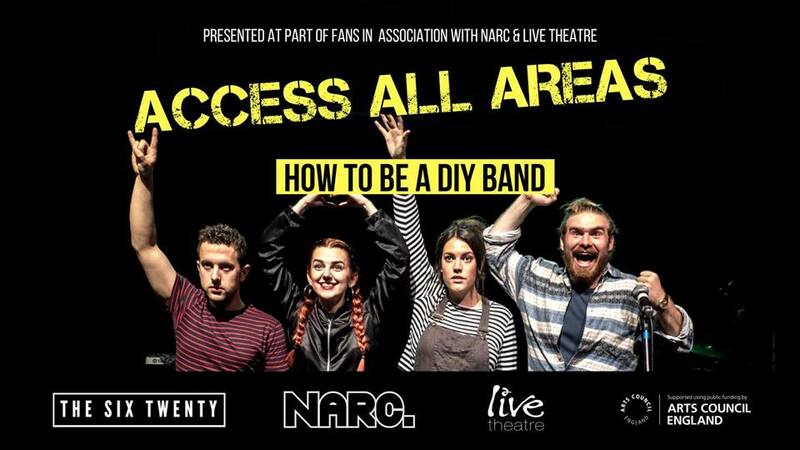 Magazine announce ‘How To Be A DIY Band’ event in conjunction with the local theatre company based out of Live Theatre, The Six Twenty, who are touring their show FANS, which is about being a music fan and follows a group of young people starting a band. Held on Wednesday 3rd October, How To Be A DIY Band, has been inspired by the FANS show and aims to help new and established musicians and bands to learn how to turn their passion into a successful venture. Speakers will be giving a brief overview on how to get gigs, how to run their own DIY event (and effectively promote it), what editors and journalists like to see in a press release and how to contact the press in general.